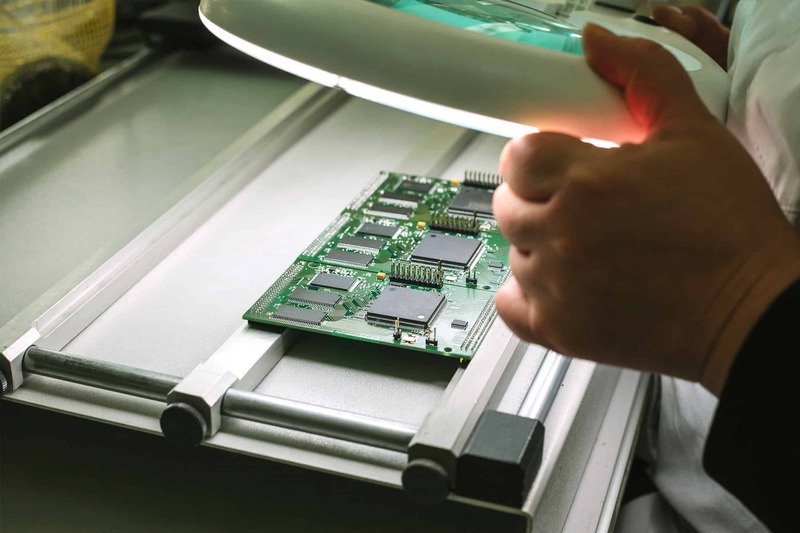 Our close relationships with partners in the electronics manufacturing industry ensure that prototypes and full products are designed to our clients’ specific requirements. Our select partners follow the most rigorous testing practices to ensure that the product meets the latest industry standards (such as RoHS, WEEE). The subcontract manufacturers that we use can provide “turn-key” solutions i.e. they do everything from buying the parts through to testing and boxing them for shipment. Alternatively we have excellent business relationships with independent kitting providers who buy the components for sourcing to whichever manufacturer you choose. Finally, we can free-issue components to chosen manufacturers to allow customers to keep control of existing purchasing relationships. We can help you weigh up the choice between UK and overseas manufacturer and help you move the manufacture overseas should the economics show that to be the best solution for you. We also work with our manufacturing teams to produce secure, cost-effective and environmentally-sensitive product packaging. We have packaged electronics for high-vibration, high-temperature and high-humidity environments utilising standard available components as well as custom designed elements. At the beginning of a project, customers will often plan to take production overseas but do not know how best to do this, or understand the economic and other factors they should be considering before making this decision. “Off-shoring” can be a minefield – but ByteSnap Design can help customers weigh up the advantages and disadvantages of overseas production and navigate them through the potential pitfalls. Often the best solution involves a mixture of UK manufacture initially until volumes reach a level where off-shore manufacture becomes economically viable. To find out more about our manufacturing support services contact ByteSnap Design today.